Adeliah Ishim was 26 when she became a GOJoven Belize Fellow. 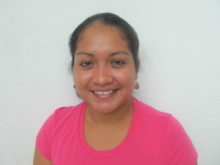 She is multi-lingual, speaking Maya Mopan in addition to Creole and English. 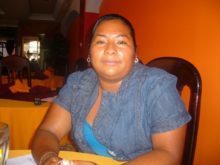 Adeliah has done work with the Toledo Maya Women’s Council in Punta Gorda to empower women and young girls through income-generating projects in jewelry-making, crafts, and sewing. During these group sessions, they also discuss sexual and reproductive health (SRH) issues that impact the community such as domestic violence and teen pregnancy. Adeliah sees herself applying her business background to her career. As a committed leader, her goal is to increase her knowledge and empower herself in the area of SRH rights to continue advocating to improve SRH among youth and women in her community. Posted in Belize 2012, Punta Gorda, Punta Gorda 2012.